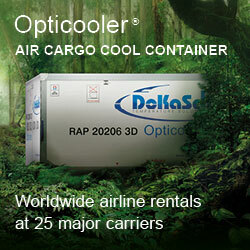 AMS needs to take a more selective approach in the further development of its cargo business. 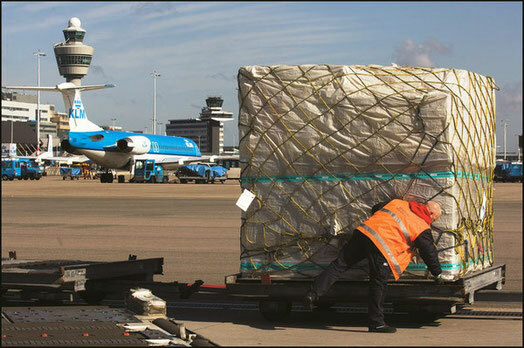 This is evidenced by the latest capacity and slot problems, claim managers Maarten van As and Ben Radstaak of the umbrella organisation Air Cargo Netherlands. Marten van As, ACN’s managing director doesn’t mince his words: “If we would let ourselves only be driven by market demand, both on the passenger and the cargo side, we would need many more aircraft movements at Schiphol as allowed today.” Instead, he says, it should be considered what brings in the largest added value within a framework of enhanced sustainability. It’s kind of a wakeup call to better the traffic situation at the Netherlands’ largest airport. ACN’s Director Innovation and Compliance Ben Radstaak adds to this: “Technically speaking AMS can accommodate 600,000 to 700,000 flights a year, but this is currently not feasible from the environmental point of view.” And due to locals opposing noise emissions. A far more modest project is the suggestion to divert some cargo traffic to Twente Airport near Enschede by the German border. This is a disused air force base, which can currently only boast a 3 km runway and the presence of some logistic players in the vicinity. According to Mr van As Amsterdam Schiphol’s social perception should be changed: while all-cargo aircraft have a share of only 3.6 % of all slots, they add 2.15 billion euros of value to the Dutch economy each year. This equals 20 percent of the value generated at AMS and saves nationwide 25,000 jobs. Impressive figures presented by the Erasmus University of Rotterdam. The bad news is, however: Due to the slot scarcity problem, the number of cargo flights has fallen from nearly 18,000 (in 2016 and 2017) to 16,000 in 2018. “It would be appropriate to get back to those 18,000 just to win back some credibility and lost business,” demand the ACN managers. So, there is a need for AMS to update its cargo strategy, which for a long time was inspired by the KLM network. Recently the Dutch government raised its stake in the airline (CargoForwarder Global reported), but both gentlemen did not want to elaborate on this. “As KLM is also an ACN member we do not wish to comment on this, but we like to point out that its role at AMS is not to be underestimated,” indicated Mr Radstaak their close relationship. Amsterdam is traditionally a hot spot for flower shipments. Meanwhile, the management is following a much broader strategy, focussing on products such as pharmaceuticals, e-commerce, and some hi-tech items. But in the case of pharma, Brussels Zaventem has surpassed Amsterdam Schiphol meanwhile. 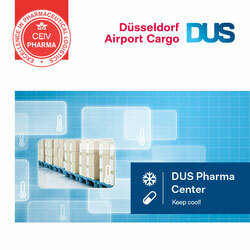 “We had been aware of the quality problems pharma transports are facing for some years. Brussels Airport and Steven Polmans have actively seized this opportunity. So, this is a missed opportunity but given the growth of pharma logistics as a whole, we still see a lot of volume that may come to AMS,” states ACN’s manager Radstaak. The absence of an integrator, states Mr Radstaak, does not hamper the e-commerce segment. “Not all e-commerce flows need overnight traffic, nor do need it for same day delivery.” Especially from the southern part of the Netherlands there are easy connections to Liege, Cologne and Brussels, he notes. This secures Dutch consumers the timely delivery of goods purchased electronically. Apart from supporting the airport in setting out its cargo course, ACN also wants to keep its members updated on the possible consequences of a no-deal. Even if there is not a lot of pure air cargo traffic between the UK and the continent, this is a matter of great importance for the companies doing business at the airport, Mr Radstaak concludes. Whether interruptions of supply chains between Europe and the UK will happen, remains to be seen. Last Thursday, the UK parliament gave green light to postpone Brexit.